Discuss Your Dissertation is a platform where you can read and discuss all about dissertations, from guidelines to writing and presentation tips, common errors to best sample dissertations. You can discuss it all. One, you can search for already posted article related to your problem and if the displayed post suit your requirement; you can simply leave a reply to that. Step 1: To post a new topic or question to commence a discussion, you will be required to have an account with WordPress.com. For this, you can simply click “REGISTER”. Step 2: Once you click on REGISTER, the Sign up page would open. The registration form will ask for your “E-MAIL ADDRESS”, “USERNAME” and a “PASSWORD”. Filling these three details, the BLOG ADDRESS will automatically be generated. After filling in all the details, click on “Create Blog” button below. Step 3: Check the confirmation mail that you will receive on your Email ID and click on “Confirm Email Address”. Clickinng this link will successfully create your account with WordPress. 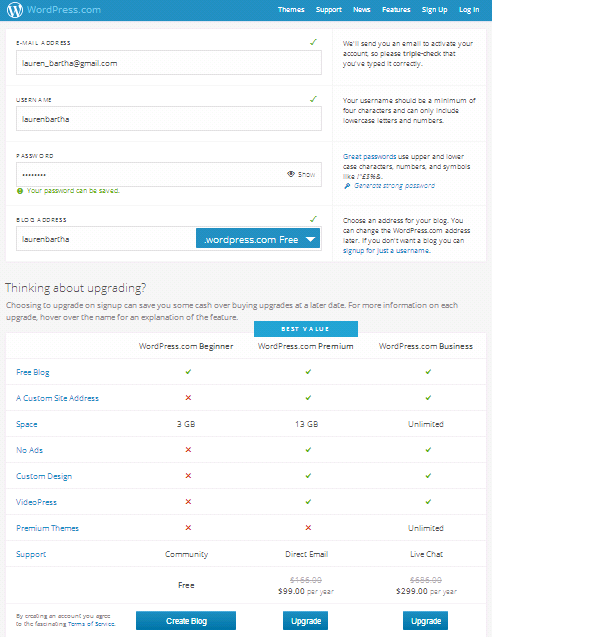 Step 4: After creating your WordPress account, you just need to fill in your credentials, viz-a-viz, your “Name”, “Email”, “WordPress Username/Email-ID” on the Contact Us page. You also need to give your “Comments” as to what issue you wish to discuss on the website. Step 5: You will now receive an invitation from our service provider to post your query or article on the site and start a new thread for further discussions. 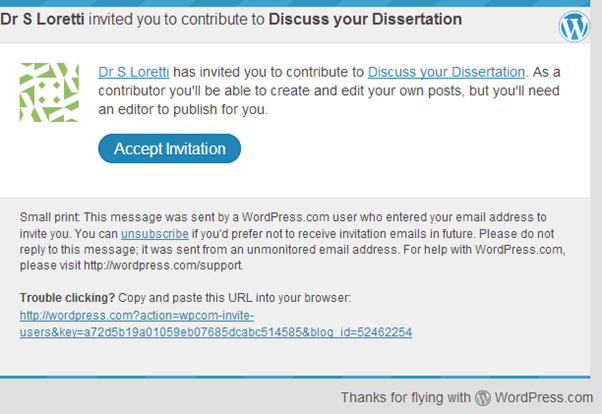 On accepting the invitation, your account with Discuss Your Dissertation will be created. Now, to submit a new topic, you can login with your WordPress Username/Email ID and Password, after which open the Discuss Your Document homepage. Here, you can post your topic or query. 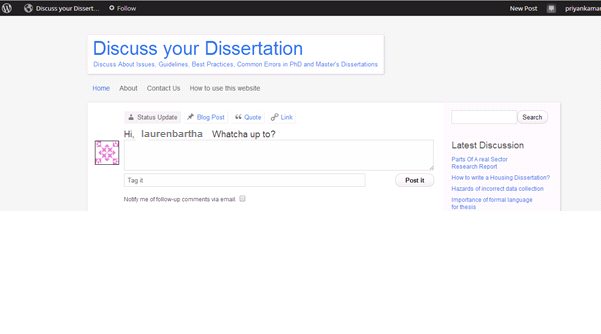 Just follow these 5 easy steps and discuss all that you want to know about Dissertations.